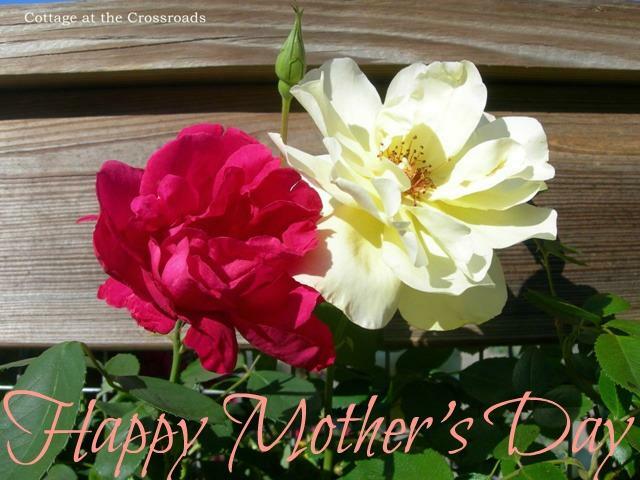 It is my wish that all moms everywhere have a wonderful and special day today. At the Crossroads, we celebrated Mother’s Day yesterday with a visit from family. 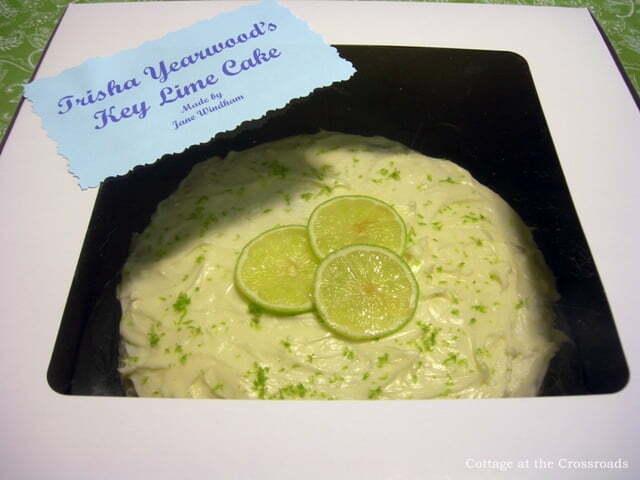 And to prepare for their visit, I made Trisha Yearwood’s Key Lime Cake that was so good that I have to share it with all of you. It all started with me watching one of Trisha Yearwood’s cooking shows on Food Network about a week ago. 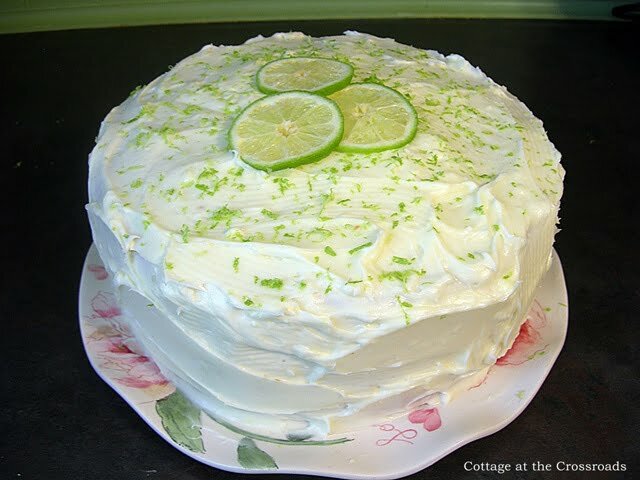 She made her Key Lime Cake that looked and sounded delicious. I read a lot of positive reviews about the cake, so I decided to make this cake when our family came to visit as well as for our church’s annual Bake Sale which was yesterday. The recipe calls for key limes, but I used regular limes, and since I was baking two cakes, I bought 10 limes. 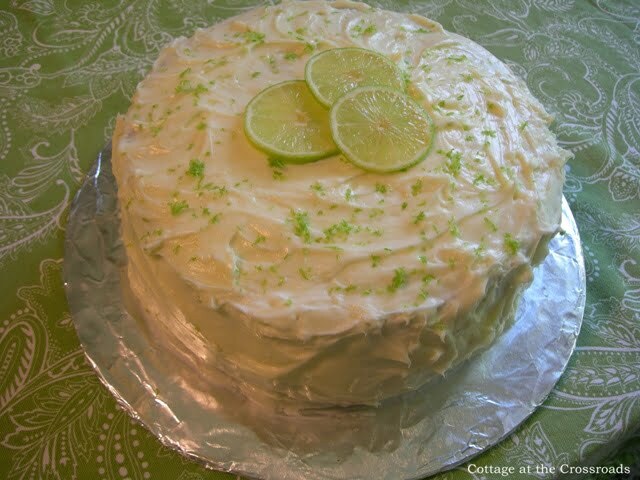 The fresh lime juice gives this cake its wonderful flavor. 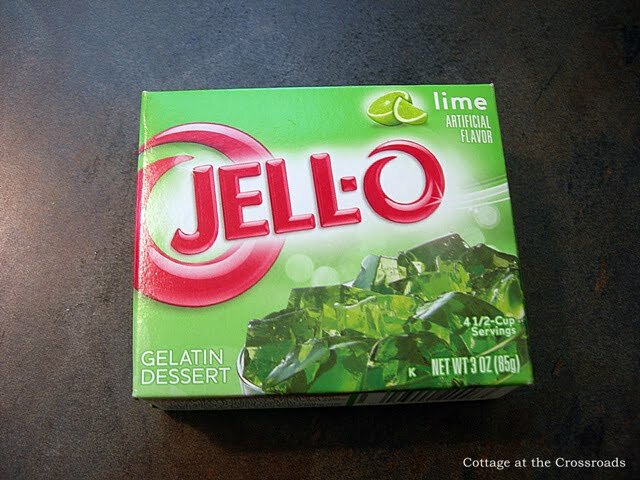 And a box of lime jello gives the cake its pretty green color. On the show, Trisha made a sheet cake, but I chose to make a layer cake so that you could see the pretty green color. Here is the cake I made Friday afternoon for our bake sale. I garnished it with fresh lime slices and a lot of zest. And I made a little label to put on the box so that people would know what kind of cake it was. Wonder who bought my cake??? 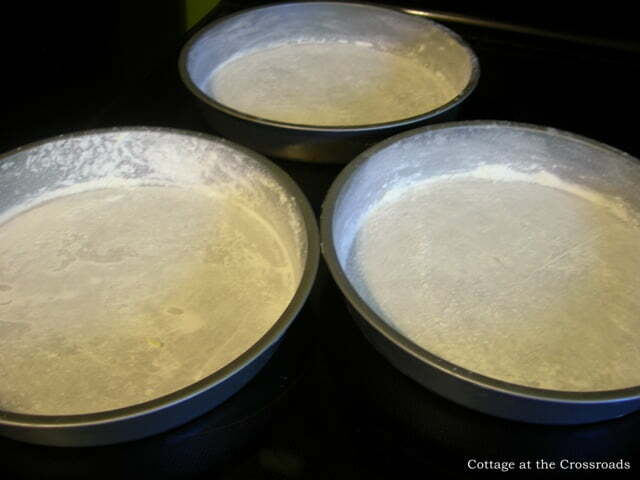 Yesterday morning I made another cake to serve to our family. You can get the recipe by clicking here. I made one adjustment to the recipe for the icing. I used two 8 oz blocks of cream cheese instead of one, and reduced the amount of powdered sugar. 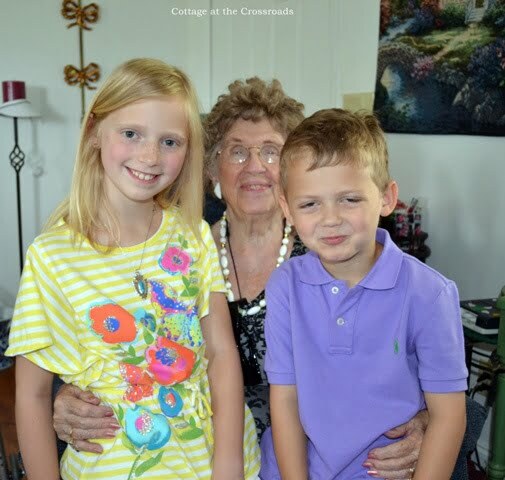 This is my mother with two of her great grandchildren, Lauren and Carson, who came to visit yesterday. My mother is 89 years old, and we are so fortunate to have her with us. 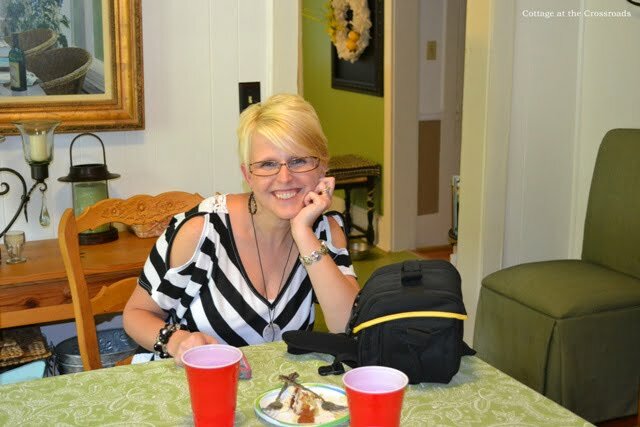 This is my niece Donna, and she brought her camera with her along with her husband, her two children, and my brother and his wife. 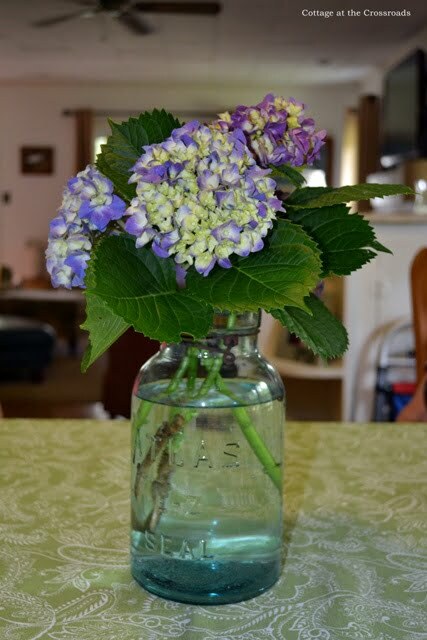 I snapped a photo of my new (and first) Atlas jar that I recently bought at a garage sale. 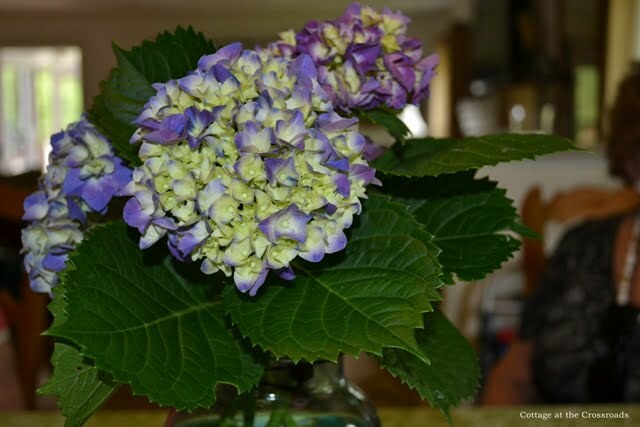 I was so happy to have some hydrangeas in the yard to put on the table. 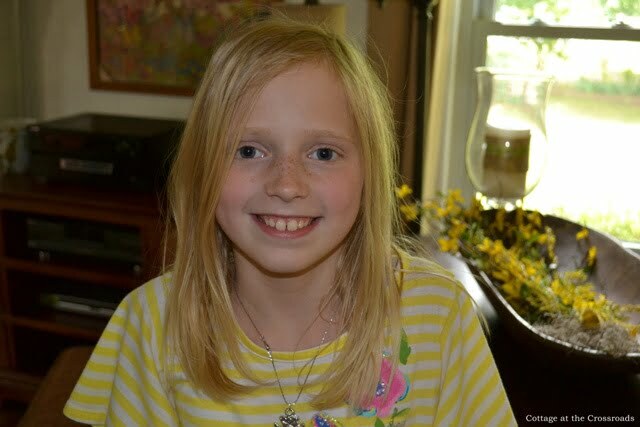 I took this pictures of my grandniece Lauren. Isn’t she a cutie? 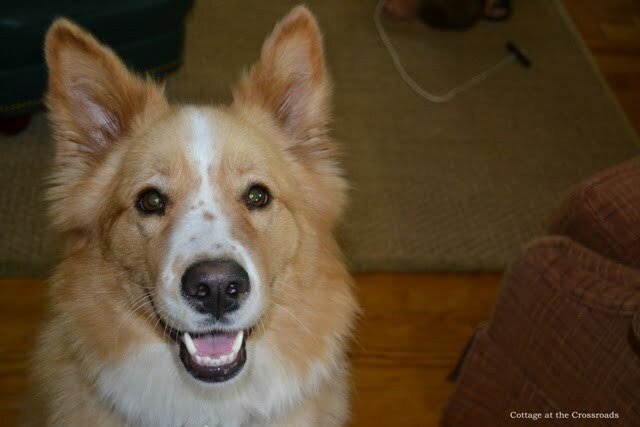 And Lucy was happy to get lots of hugs and attention from our guests. I was walking around snapping pictures with my niece’s camera. 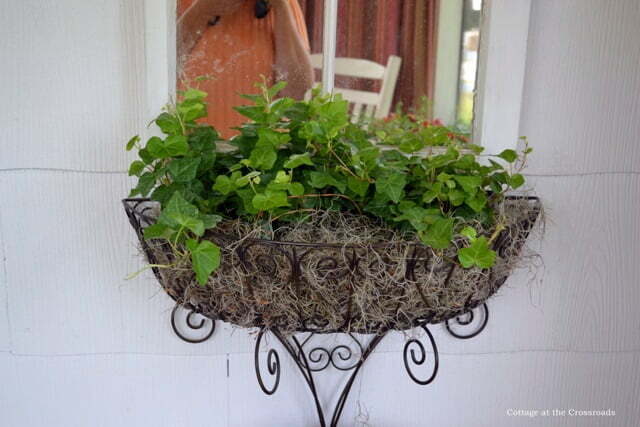 This planter is on the front porch. 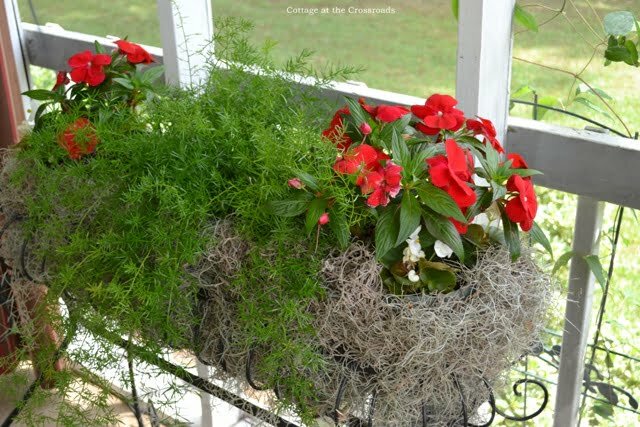 And so is this planter. We all had a wonderful visit, but Lucy and I were all tuckered out with the baking this weekend. 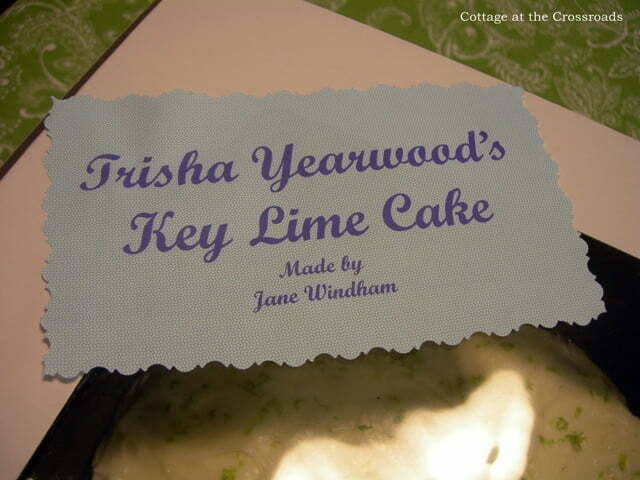 But it was worth it because everyone LOVED Trisha Yearwood’s Key Lime Cake. 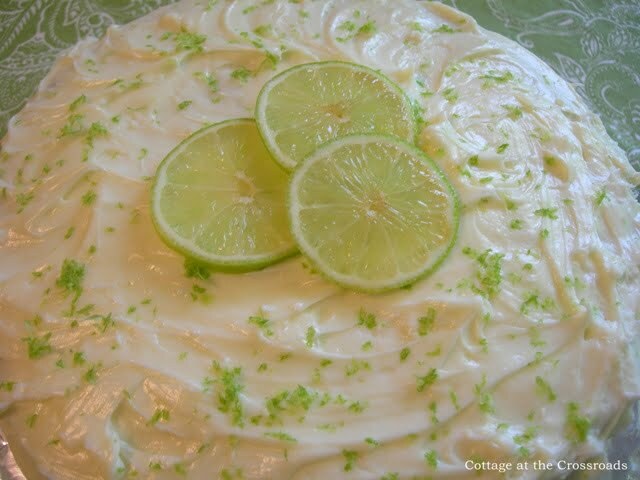 Many thanks, your key lime cake looks wonderful! What gave you such a grand idea anyway? 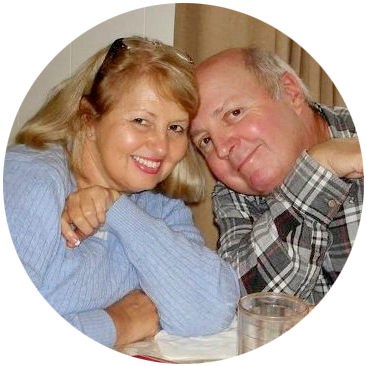 I have an old and dear friend…”Anita Pelaez”…She owns with her husband “Kutchie” the key lime pie factory in Asheville where we used to live before moving to Atlanta. If it is alright with you, I would like to send her your recipe for your cake. I’m sure she would it as much as Bob and I do. 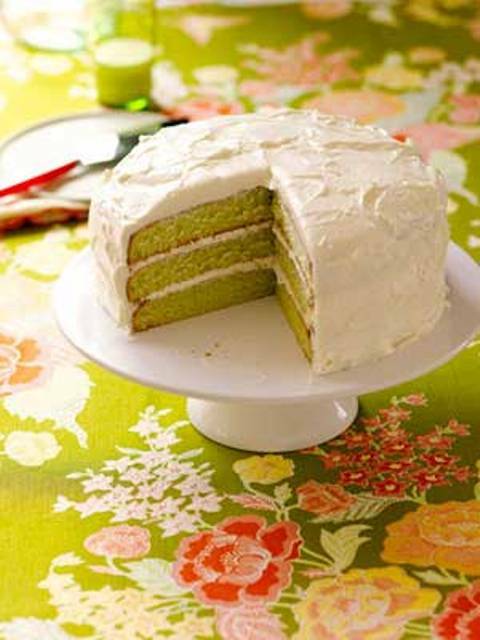 The cake looks so delish…and the way you garnished it is so pretty! 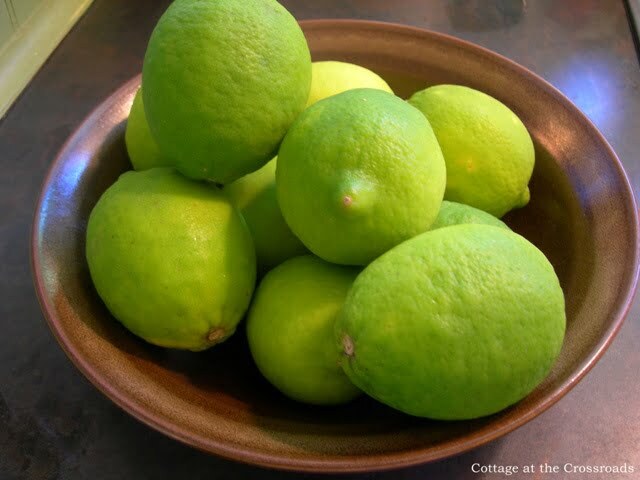 I love lime ANYTHING — so I am definitely saving this. It looks mouthwateringly delicious. I didn’t know that TY had a cooking show, although I did know about the cookbook. 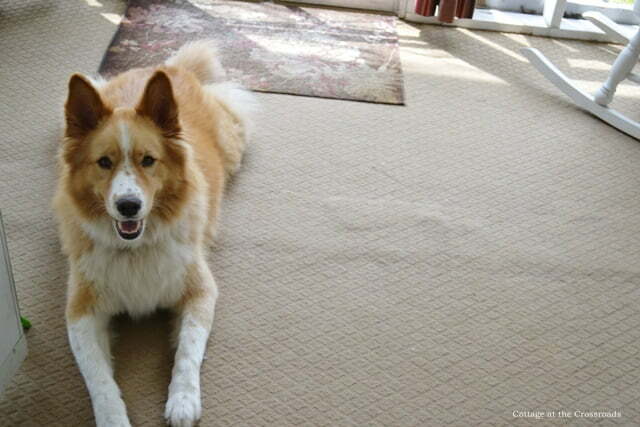 Thanks for visiting — always nice to see you! the cake looks so delicious and it looks like you had a wonderful celebration. Sounds like a wonderful Mother’s Day celebration Jane. The cake looks wonderful and sounds delicious!! Now I have to try this!! Enjoyed the pictures of your family!! Love the ATLAS jar!!! Sounds like you had the best sort of day. Busy and filled with family. I spent the day shopping and lunching with my daughter. We had a blast and found some great deals. I didn’t know Trisha Yearwood had a cooking show. I have loved her since her first hit. Your cake was beautiful and I loved your garnishes. So pretty. Have a good week! Jane~ Your cake looks delicious, I’ll have to try it! You come from good genes, your mom looks great! Happy Mother’s Day! This sound fabulous and looks so pretty. I love citrus desserts the best! Thanks so much for sharing it. I saw that I think when someone pinned it and I thought…yummy! I am anxious to try it. Yours look so pretty. So glad u spent time with your mom and family. I record her show, due to having to work. I love coming home and watching it. I have made her crockpot mac and cheese. I will be making it again. My family loved it. Beautiful cake! I love Trisha’s recipes. There are several of hers which are so good. I especially love her chicken broccoli rice casserole. Hope it is a wonderful one. Jane, the cake looks delicious! I love the pictures of your family. Everyone looks so happy. I may have to try this cake, I love anything with limes in it.I love all the photos, but I really like the ones of Lucy-she is beautiful. Enjoy your day Jane! That cake looks so pretty and delish!~ WOW, your Mom looks great too! Happy Mother’s Day. Have a great day!